Hooklift Bins, Heavy Duty, Reinforced Bin. 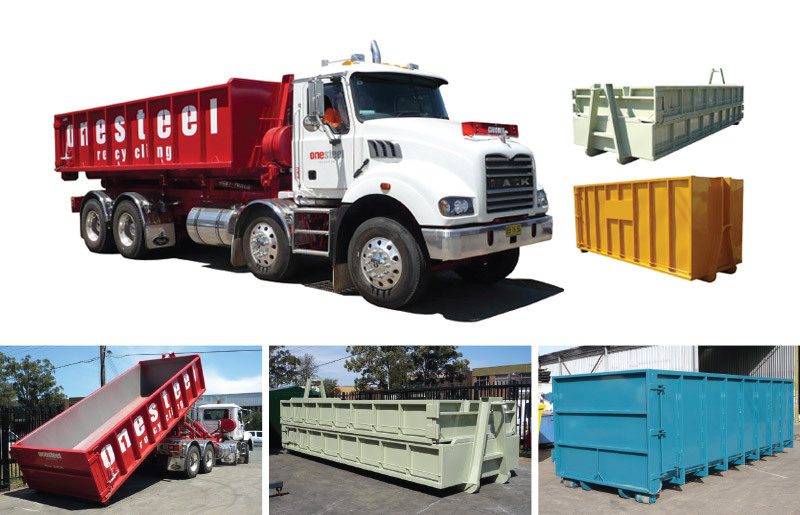 Used to contain and transport bulk construction and demolition (C&D) waste and building materials, scrap metal, general waste and recyclables. Can be fitted with internal load points to allow the safe transport machinery and plant equipment. Bins are transported and emptied by vehicles fitted with hydraulic hooklift loader.